I spent some time with my friend Chad this week. His middle name should be "Mr. Attitude". Whenever I am around this guy I just feel better. Better about myself, the future and life in general. He is one of the nations most successful real estate agents, is growing a thriving business, has a wonderful family life and a huge circle of friends....and views every glass as half-full (in fact, and empty glass to him is just a glass awaiting to be filled!!!). At 34 years old, he is only beginning to see his own potential. This guy is going to be one you hear about as a business legend. While some people spend their lives focused on the negative things in the world, others constantly strive to find the positive. I believe that those who are upbeat get more opportunities. These people always attract others into their circle who help them achieve more than they ever could have on their own. A positive attitude is an invitation to be lucky. There is power in your attitude that you must acknowledge. Make your attitude a priority. To do anything short of this means that you run the risk of letting your "feelings" take over your life. We are all hard wired with emotions and react to everything we see in the world. With the natural human strife on the nightly news, it would be so easy to fall into the trap of being a pessimistic-grumpy-head. But we get to choose how we react to every situation, and in that choice comes power over our destiny. I have not been as positive lately as I know I should be in my daily life. I have allowed myself to get bogged down. My friend showed me by his example that the right thoughts and a consistent smile can lead to bigger successes. How about you? Are you paying attention to your attitude? This is important. Don't just click off this page without thinking about the vibe that you are putting into the world. It matters. Your future depends on it!!! ****Looking for a great holiday gift for your clients, business associates or other friends??? Consider giving them a copy of "Some Assembly Required: How to Make, Grow and Keep Your Business Relationships" (New Year Publishing). Available at Amazon.com. Thanks!!! Each Friday I highlight random cool things that I have discovered in the Friday Parade post. Today is no exception. If you like to think BIG. I mean think really, really BIG.....then you need to discover Michael Port's Think Big Revolution. Michael Port is an author, actor, speaker, consultant, etc... who has a free weekly conference call each Monday where fifty to one hundred people gather to expand themselves and explore the benefits of thinking big. Michael leads the topical discussions on ways to grow your business, personal life and expand your future. Some calls are good, others are great....but they are always free and full of interesting stuff. Click here to get on his mailing list and plan now to attend the next "Think BIG Revolution" call on Monday. ***PS- If you have not yet read my book, "Some Assembly Required" you can order it today on Amazon.com. Thank you!!! A lawyer called me yesterday after reading my blog post about the Rolling Stones. The gist of his call is that he sees his practice more like a garage band (see the October 23rd post). He was sad about this realization and was afraid that he would never be able to raise himself above this level of performance. Was he never to be at the top of his field? The good news is that I believe that anyone can become a super achiever, but they have to be willing to put in the extra work and ride the wave to success. It takes time and there are no shortcuts. It can take over a decade of focused hard work to achieve the top level in a career. This reminds me of the old joke: "What do you call someone who spent ten years working hard and finally gets fame and fortune? "....answer: "An overnight success!". When some achieve greatness those of us on the outside looking in only see the visible victories. What we never notice is the years of sacrifice, dedication, study, practice, and failures. Yet those things are always there. I told my lawyer friend that to get out of the "garage" and into playing the larger venues he will need to work hard, have a clear vision, and never give up. He was somewhat underwhelmed with that answer, as he felt he had already worked pretty hard. I think he wanted me to have some magic answer. Sorry, no tricks here or I would use them myself!!! Last night Austin, Texas lived up to its reputation as The Live Music Capital of The World with a performance by the legendary Rolling Stones....and I was there with 42,000 of my closest friends! It took them forty years to get to Austin (this was their first concert in the musically charged city), but they did not disappoint. Mick Jagger and crew put on an amazing show. These guys are 60+ years old, but you would never have known it (as long as you didn't look to close). Jagger might be the best entertainer on the planet (look out PT Barnum), as he certainly knew how to keep the crowd dancing and screaming for two hours. The geriatric rocker still has moves. It made me realize that in any business if you want to succeed in the long run you need to have style, brand, passion and an understanding of what your customers want from you. The Rolling Stones, as a business, are still filling stadiums and selling their music. How about your business? Can you identify your style, brand, passion and unique product offering? If you are not as clear on these topics as the Rolling Stones, then you might just be a garage band. ***Photo from the Austin American-Statesman website. Read more about the concert on their website. I have discovered a cool new website that every blogger needs to know about, so be sure to tell your friends!!! It has a lot of very interesting applications for anyone who is a knowledge entrepreneur, and it went live two weeks ago, so there is a lot more to come. It is called Nano Learning. In the busy world we live in people do not have time for time consuming classes. Instead, people prefer to learn in small chunks. This a site that allows anyone to create short, good looking on-line learning classes without having to be an expert in Flash or have other extensive programming knowledge. Discovering this site early is akin to having been one of the first people to have found Blogspot back in the day. A friend showed me how easy it is to create an on-line course by creating an eight-page class from a blog post of mine (and Scott Ingram's) posted earlier this week. The creation of the Nano Learning course took about ten minutes. Click here to view the course on Creating Your Signature Story. If this can be created in ten minutes by cutting and pasting from two blog posts, imagine the cool on-line learning tools you can create with a little effort! **Late addition: I decided to try writing a course by myself to see if it is really as easy as it was for my friend. Having spent ten years of my life as a wedding photographer, I created a short course on How To Select A Wedding Photographer. From start to finish it only took about twenty minutes. I can go back later and add photos, links, etc... NanoLearning is really cool! Go create a course and see for yourself! This is the coolest new technology on the internet...and it is just out of the gate. I did not know about E-Bay until it was widely used. Same for Blogger. This is our chance to have uncovered a new on-line sensation before everyone else on the planet. Nano Learning is the next big thing!!! Is Your Website A Business Development Tool? Yesterday's Legal Marketing Association meeting in Austin, Texas had a phenomenal speaker on the Top Ten Foundational Best Practices For Law Firm Websites. The speaker, Deborah McMurray (CEO of Content Pilot), has worked in and around law firm marketing for over two decades, and is one of the sages in the industry. Deborah also knows her stuff about how to make websites more than just a sterile brochure. She has consulted with firms across the country, helping them to create websites that communicate their message. But her presentation transcended industry lines, and would apply to any company that wants their website to be a true business development tool. Not surprisingly the results showed that these large firms mostly had room for improvement. Only 10% ranked excellent, with over 40% being labeled as fair or poor. More information on the survey and on Deborah and her company are available at www.contentpilot.net. It is time for the second edition of the Networking Blog Carnival. This edition will be hosted at the Jibber Jobber Blog and the topic will be directed at networking tips in regards to getting a job. Jason has a post about it on his site. The carnival will go live on November 6th. 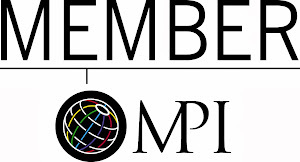 "Some Assembly Required: How to Make, Grow and Keep Your Business Relationships" (New Year Publishing, 2005) was selected as a finalist in the "2006 USABookNews.com Awards" in the General Business Category. Congratulations to all the authors who made the list! I am going to read them all...and you should too!!! By definition, a "comfort zone" is a comfortable place to find yourself, but to grow and expand in your business or personal life, you must break out of the familiar and stretch yourself to try new things. 1. My job. About a year ago I was given an amazing career opportunity. This sales/business development position is with one of the top companies in the United States. The job is great, and the people I work with are phenomenal. But I had no experience in the industry. Nine months later I find myself learning more than I ever have in my working life, however I still feel like I do not know enough. There is no "comfort zone" for me at this point. Each morning I take a deep breath and do all I can to make a difference....but my learning curve is still steep. I have had some successes, but not nearly enough to feel confident. Fortunately my co-workers are helping me and there is a lot of support and training. Yet even though it is hard work to learn a new industry, I find the challenge exciting and I look forward to having more big victories in the future! 2. My book. Writing a book is difficult. It takes long hours, crazy tenacity and a sprinkle of good luck. The real difficulties begin after the book is published. Selling copies of the book is one hundred times harder that the actual writing. 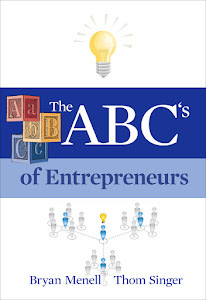 I am enjoying the promotional part of the book business, but I have not yet discovered all the answers. 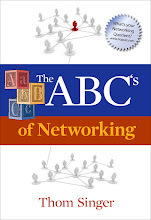 I speak often on the topic of building a professional business network, and that helps drive sales. 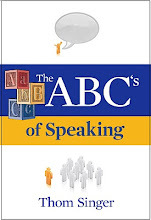 The book also has achieved a modest level of "word of mouth" advertising, and Amazon.com continues to order more copies! 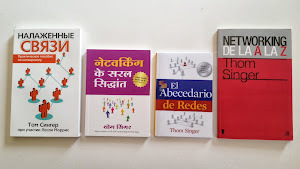 While creating "buzz" around a book is not something I have ever done before, it is exciting when the book gets mentioned in an article or on a blog. Everyday is part of the adventure. 3. Physical Fitness. Two years ago I weighed 25 pounds more than I do today. I had never been much of an athlete, and when I hit my mid-30s my metabolism turned on me. My diet was not as healthy as one might recommend, and thus I got fat. I decided to lose the extra weight and set out on a 6 month plan of "moving more and eating less". It was hard to skip the beer and ice cream (not to mention all the running I had to do), but I soon got used to it (it became my new comfort zone). The hardest part was the maintenance of keeping fit. My wife recently recommended I join her yoga class on Sunday mornings. Running a few miles for a 30-something guy who was overweight was hard, but yoga is something new altogether! I have gone to yoga for three weeks and I find myself to not have as much balance or flexibility as the others in the class. This is a perfect example of being out of my comfort zone. This is a another world for me. Yet I continue to attend, and each week I find myself getting more accustomed to the program. 4. Marriage and Parenting. As my daughters get older there is nothing that can prepare me for being "the dad". Fortunately I had a great example in my own father. He always seemed comfortable in the role of husband and father, but that might just be because I was the youngest of four boys, so he had seen it all by the time I came alone. I just have to face each day and not worry so much about my lack of comfort. Instead I just focus on the task at hand.....and be the dad. Every parent I know seems to have to wing it. Part of me wishes that I could retreat into "comfort zones" in all these areas of my life, and ingnore the difficulties. However, I am striving to grow in all these areas, so I have to face the hard parts in order to achieve the rewards that are in the future. Don't be scared trying new things or even experience the occasional failure. Get out of your comfort zone. Like in Yoga, you have to stretch yourself. Last week I co-hosted the Greater Austin Chamber of Commerce's second "Breakfast Club" meeting, along with Scott Ingram from NetworkInAustin.com. The interactive networking education forum was hosted by Rio Grande Restaurant in downtown Austin. The restaurant is famous, as it used to be the "house" that was home to MTV's The Real World - Austin. The place has been fully remodeled to accommodate the upscale Mexican restaurant (good food, I might add! )....but they did leave the indoor swimming pool (just not as deep for liability reasons...so now it is a wishing fountain). I never saw much of the Real World, but I do know that the pool was clothing optional during much of that season,.... but I digress. The event was titled "Creating Your Signature Story". The concept being that while much is given to preparing an "Elevator Pitch", the reality is that many such statements are as stale as a talking brochure. We all have stories, and it is stories that engage the interest of other people. It is a signature story that is remembered and retold to others. Over 60 people participated in the program, and in small groups they tackled the task of sculpting their stories. Scott does a great job of giving the details on his blog. Thank you to all who attended, and to the Greater Austin Chamber of Commerce and Rio Grande Restaurant. Former Virginia Governor, Mark Warner, announced yesterday that he was NOT running for President of the United States in 2008. Warner, and democrat, sited the fact that he wanted a "normal" life rather than exposing his family to all the craziness of being a presidential candidate. This is bad news. Mr. Warner would have made a great president. He was not a fringe candidate, but rather was very much in the middle of the political spectrum (which might have made it difficult to win his party's nomination). Both democrats and republicans could have found common ground with his beliefs, which is what is needed. I would have jumped across the party line to have supported this candidate. Mr. Warner has both political and business experience (being a former telecom executive). He would have brought a unique and balanced temperament to the oval office. Mark Warner was the cool candidate for the 2008 elections. Now we are left with the professional politicians who will polarize the country with the typical ugliness of right vs. left hate. It is a shame that the best people for the presidency will not run because of their desire to not get caught in the muck that is politics. It makes me wonder what kind of people we are left with as candidates if they enjoy all the crap. Best of luck to Mr. Warner. "If at first you do succeed, try to hide your amazement!" How funny that we are often surprised at our own success. I laugh because I have had this experience. I know I want something, and I make it a goal....yet I am shocked at myself when I succeed!!! ****PS - If you would like to purchase a copy of my book, "Some Assembly Required", please go to Amazon.com. If my book hits #1 by noon, I will try to hide my own amazement!!! Look over on the right side of this blog, down just a bit. The visitor counter for The Some Assembly Required Blog is about to hit 20,000. I think that the 20,000th visitor to the blog should win a prize. If you are #20,000....send me an email with your name and address and I will send you a free copy of my book "Some Assembly Required: How to Make, Grow and Keep Your Business Relationships". Oh, tell all your friends to come visit today...as at anytime someone could be the winner!!!! UPDATE***THE WINNER IS - Adrian Kingsley-Hughes....from the United Kingdom. Congratulations!!! I was recently on a conference call with a group of people from around the country when a woman named "Martha" spoke of her own quest to reach her potential. She said that she felt like "Einstein working at McDonald's". I really enjoyed this word picture, as it summed up how many people feel in their careers. We all want to live up to our God-given potential. I believe that any person can achieve more in their career, but that we often get stuck in the rut of mediocrity. If Albert Einstein had managed a fast food restaurant, I am sure it would have been a fine franchise, but he might have missed living up to his potential (that little E=MC2 thing). What is it that you are called to do? What is that one thing that you feel would impact the world with your input? If you wake up everyday and never question your place in the world, then you will continue along the path that you are on. However, if you feel like you could be contributing more and reaching higher levels of success, then you owe it to yourself (and the rest of the planet) to discover your calling and go for it. Results will not happen over night, but everyday you must do something to open yourself up to the opportunity that is out there. I know, I am right there reaching for success. Yes, I have achieved some of what I desire, and many might ask why I continue to quest for more. My belief is that as long as we are breathing, all people have un-tapped potential. It is a journey. ***Thank you for reading The Some Assembly Requried Blog. 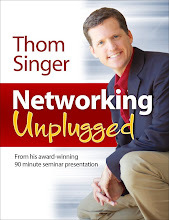 More information is available at www.thomsinger.com. 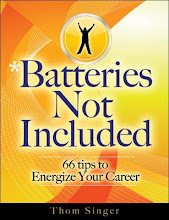 Also, if you have not yet purchased a copy of my book, please go to Amazon.com. 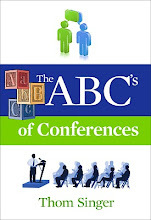 If you liked the book, I would appreciate it if you would tell a friend, and feel free to post a review at Amazon.com. If you sales territory takes you beyond the town where you live, you will have challenges in developing a network of professional contacts that can and will refer business. Most people are skeptical of out-of-towners, and no matter what your intentions.....you be seen by many as a carpet-bagger. The first thing you need to do when calling into a new community is to realize that everyone would prefer to do business with those who live in their city. But you can't live everywhere, so you just have to get past that obstacle. Accept that it will take longer to build real relationships in far-off locations. You do not have the luxury of running into key contacts at lunch, the mall, church, etc... You have to be committed to showing your face in their city on a regular basis. Even though you cannot visit with everyone every time, you need to let your contacts know that you are there often. 1. Host a lunch, happy hour or dinner with a group of key folks in your satellite territory city when you come to town. Invite an eclectic group of people who will make beneficial contacts for eachother....they will remember that you are the catalyst that brings them together. 2. Put together a monthly (weekly?) email newsletter that is full of useful information on your industry. Try to customize some of it to the specific city you are covering. 3. Ask your existing clients for introductions, referrals or just random ideas. Who can they help you meet in their city. If you do a good job servicing their needs, they will be happy to tell others about you, your product or your service. Let them know what problems you have because you live out of town, and they will want to make their city more hospitable to your needs. 4. Always praise their city. I know, you do not choose to live there, you prefer the city you already live in....but that does not mean you cannot vocalize the wonderful parts of their town. Remember, they do live there, and appreciate that you see the city as a great place...NOT JUST A CITY TO SELL INTO!!! You will also to find allies who are not offended by the fact that you live elsewhere. In small markets that are dominated by "old-boys-networks" this will be harder. You local competition will see you as a threat and will have more access to prospects and referral sources than you can ever have. They will probably talk poorly about you and your company. Your technique needs to show that you are not worried about "competition", but rather about "adding value" to your clients. People will see this as balancing out your out of town deficit. Finally, patience is the key. It takes a long time to build relationships remotely (heck, it takes a long time to network in the city you live!!!). You just have to stick with it and know that one day you will be accepted in the local business community. Hang in there! I am fan of Business 2.0 Magazine. It is always full of cool companies, inventions and other stuff. Today I read about "Zorbing". It is the new bungee jumping without the jumping. Yes, it is always the folks in New Zealand who bring us these wild things. A person is encased in a big plastic bubble and rolled down the hill getting to speeds of 25 mph while strapped inside a big transparent ball. Think hamster. Coming soon to your neighborhood hillside. I can't wait!!! ****If you are interested in getting your hands on a copy of my book, "Some Assembly Required", go NOW to Amazon.com. Thank you. OH...WAIT. CAN YOU PLEASE TELL A FRIEND ABOUT MY BLOG??? I WOULD BE SO THANKFUL THAT WORDS COULD NOT APPLY TO EXPRESS MY DELIGHT. I am addicted to my blackberry. When it buzzes I cannot help myself ..... I must go read the message that has been delivered. I have no will-power. Instantly I must know who sent me the email. Is it important? Often not. Is it interesting? blahhhh. Have I been invited somewhere fun? No. Is it spam? Too much spam, yes. If I am asked a question in an email, I feel compelled to answer fast. If a friend crosses my mind, I have in my hands the power to send them an email instantly. How did society survive before wireless technology took over the planet? When my father was my age in 1954 they only had the US Postal Service or Western Union to send written messages. No fax, Fed-Ex, email, etc.... They had telephones, but you could only reach someone who was at their desk. Heck, no voicemail....a real person had to take a message and write it by hand on those pink message pads. Oh, the insanity. I have a friend who avoids email and cell phones on the weekends. I would go into withdrawals. Why would someone do that? Oooops, gotta go. I just got an email. If 7-11 is open 24-hours a day, why do they have locks on the doors? Some might think they could have saved millions of dollars if they had not installed locks in the first place. But life is full of choices. We are all have God given talents, and the choice is ours on if we open them up to the world or lock them down. We all come with locks, even if we do not plan to use them. So does a 7-11 franchise. Many might look at your really huge desires (goals) and view them as impossible to obtain.....therefore think that having such goals are as useless as the locks on a 7-11. But by not having goals you would shackle your future in the present. People who have clear goals are those who achieve greatness. They do not allow others to discredit their vision of the future. They do not see dreaming of more to be a waste of time. These people know that there is a time and a place for everything, and while results are sometimes years away, they understand that the only way to get there is to keep moving forward....no matter how large the obstacle. Instead of focusing on the locks on the door, we should focus on the fact that in life we have access to Slupees 24-hours a day, seven days a week, 365 days a year (metaphorially). We need to reach for greatness and never give up. Ahhhhh, what potential we each have inside us. Carpe Slupus. Seize the Slupee. We got some great submissions to the first Networking Blog Carnival. Thank you to all the bloggers who participated and sent in the links below. I encourage all readers to click through and read all the valuable information that has been shared. If you are interested in hosting the second edition of the Networking Carnival on your blog, please send me an email. 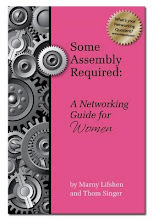 ****If you are interested in obtaining a copy of my book: "Some Assembly Required", please go to Amazon.com.